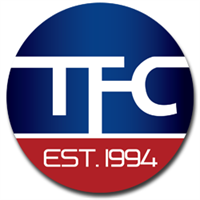 TFC Title Loans has been providing title loans to Los ANGELES SINCE 1994. When you need emergency money TFC Title Loans are here to help you get your money fast. We work with many different situations from cars being impounded to cars in the body shop. How do I get a title loan? Your car needs to be 2008 and newer for your car to qualify. You need to have proof of income. We need to see that you can afford the loan. You need to provide us with your proof of residence. We will need to be added to your insurance as a loss payee. We will schedule your appointment to the closest office to you. After we do a physical inspection on your car, we will take photos then we will sign the contract. We will explain all of the most important parts of the contract to you. Our name will be added to the title as the lein holder. You will still be the registered owner of the car. We are located off the 101 freeway at Vermont. The major cross street Wilshire.